two miles off the main road 幹線道路から 2 マイル離れて. a street off Broadway ブロードウェーの横丁. Keep off the grass. 【掲示】 芝生に立ち入らぬこと. His house is just off the road. 彼の家はその道路からちょっと入った所にある. get off the subject (故意に, またはうっかり)本題からはずれる. That's off the point. それは主[本]題からそれている. I could not take my eyes off her. 彼女から目を離すことができなかった. off the Pacific coast of Alaska 太平洋アラスカ沖に. wipe sweat off one's face 顔の汗をふく. There's a button off your coat. コートのボタンが 1 つとれている. get off a train 列車から降りる. She was thrown off her horse. 彼女は馬から投げ出された. off the hinges ちょうつがいがはずれて; 心身の調子をくずして. He's off his head. 彼は気が狂っている. 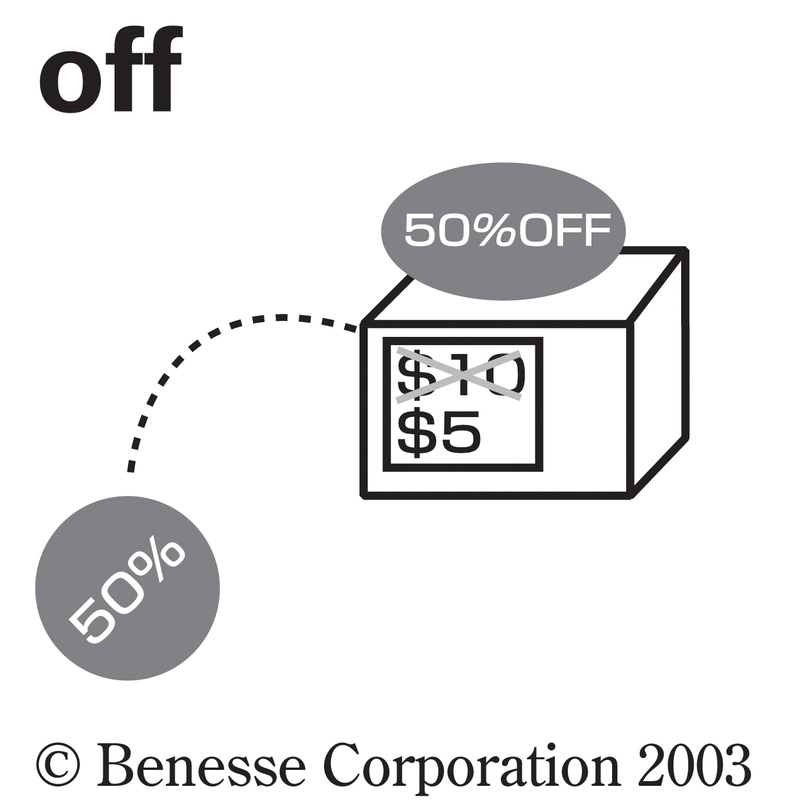 take five percent off the list price 定価から 5 パーセント割り引く. He's finally off gambling [drugs]. 彼はやっとギャンブル[薬(やく)]をやめた. 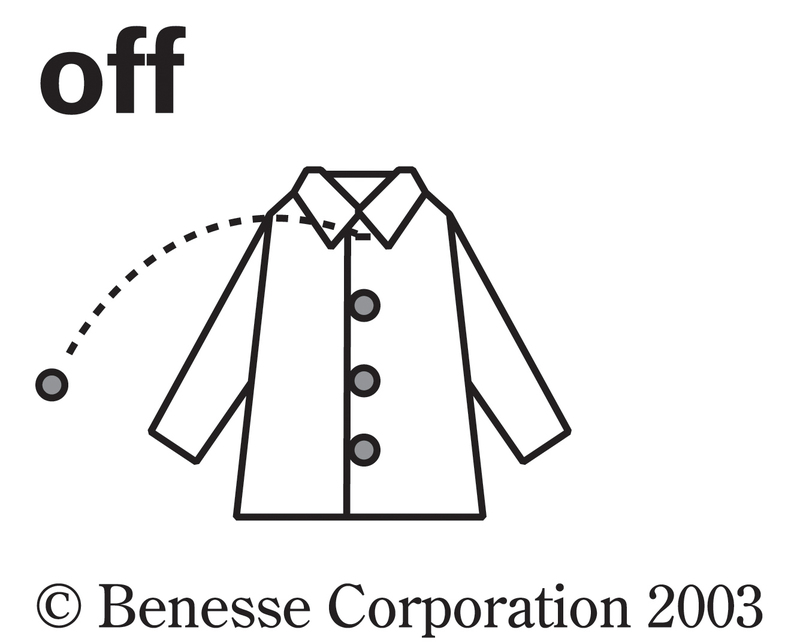 Be off (with you)! 行ってしまえ, 出て行け. I've got to be off now. もう行かなければならない. The man [He] went off. その男[彼]は去っていった 《★【用法】 この文を強調した文は Off went the man. / Off he went. となる》. take one's clothes off 服を脱ぐ. I bought this at 40 percent off. これを 4 割引で買った. turn off the water [the radio] 水道[ラジオ]を止める. You can get 10 percent off with a student card. 学生証をもっていくと 1 割引になる. far [a long way] off ずっと遠くに. Christmas is only a week off. クリスマスはたった 1 週間先だ. I know them off by heart. それらをすっかりそらで覚えている. She has broken off with him. 彼女は彼と縁が切れている. have [take] a day off 一日仕事を休む[休暇を取る]. The handle is [has come] off. 柄がとれている. I'm feeling a bit off today. きょうは少々(気分が)変だ. The fish is [has gone] a bit off. 魚が少々傷んでいる[しまった]. I'm afraid tomorrow's picnic is off. 残念ですが明日の遠足は中止です. You're way off on that point. その点君ははるかに間違っている. He's well [badly] off. 彼は暮らしが裕福である[苦しい]. How are you off for food? 食糧はどのくらいある. We're well off for butter. バターは十分にある. They're badly off for money. 彼らは金に困っている. the off side of the wall 壁の向こう側. 〈馬車の馬・車輪が〉右側の，右手の (cf. near 形容詞 6). The top button came off his coat. Flowers began to fall off the cherry trees. I got off the train at Kyoto. Can you get the lid off this box? The rookie hit three home runs off the ace pitcher. She went to the supermarket off the main street. The ship sank 10 miles off the coast. I got off work at 10. The work took 5 years off my life. We're getting off the subject now. His opinion was off the point. He managed to live off his elder sister. I didn't hear the alarm go off this morning. Thanks to the dog, the burglar was scared off. The plane took off on schedule. I'm going off to India. The test is only a week off. You have to take off your shoes here. The baby's cord will drop off in a week or so. I'm taking two days off next week. Don't put off your work. Let's hold off on a decision until we talk to the boss. The population of the village is dying off. Sales have been dropping off. He seems a bit off today. These eggs have gone off. The project seems to be off to a good start. Let us start off with this topic. Let's clear off the table. I finally paid off that debt I had. I've been studying German off and on for a year. There is an off chance of snow. I called him but he ran off. From Middle English of, from 古期英語 of, af, æf (“from, off, away”), from Proto-Germanic *ab (“from”), from Proto-Indo-European *h₂epo (“from, off, back”). Cognate with Scots of, af (“off, away”), West Frisian af, ôf (“off, away”), Dutch af (“off, from”), German Low German of (“off, from”), German ab (“off, from”), Danish af (“of, off”), Norwegian Bokmål, Norwegian Nynorsk and Swedish av (“of, off”), Icelandic af (“of, off”), Gothic 𐌰𐍆 (af, “of, from”); and with Latin ab (“of, from, by”), Ancient Greek ἀπό (apó, “from”), and others. Doublet of of. Into a state of non-operation; into a state of non-existence. Please switch off the light when you leave. So as to be removed or separated. Some branches were sawn off. 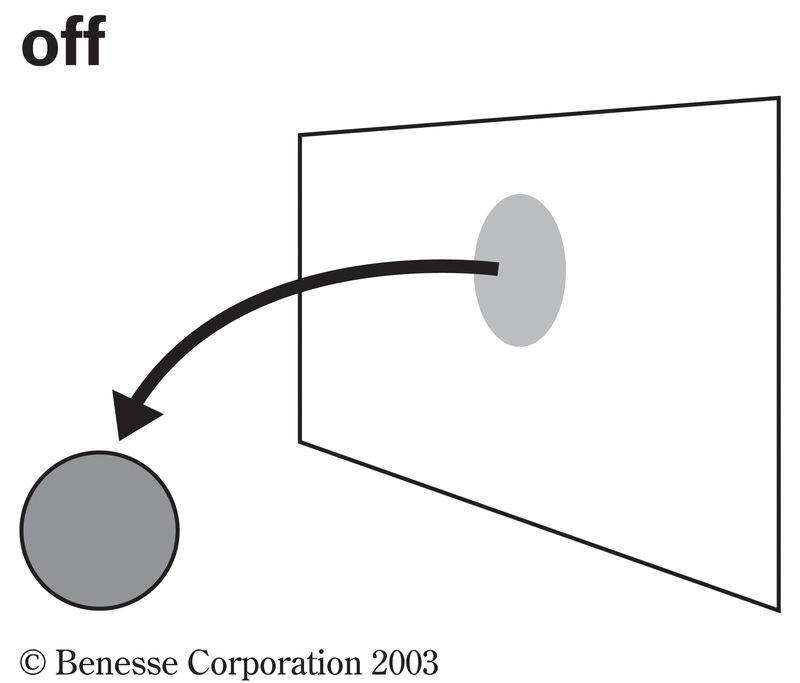 off is used as an adverbial particle in a number of phrasal verbs (shake off, show off, switch off, take off, かつ so forth). This is not to be confused with prepositional use (e.g. jump off the table, keep off the grass; see below). All the lights are off. (cricket) In, or towards the half of the field away from the batsman's legs; the right side for a right-handed batsman. Less than normal, in temperament or in result. I felt that his comments were a bit off. Circumstanced (as in well off, better off, poorly off). And they're off! Whatsmyname takes an early lead, with Remember The Mane behind by a nose. Let them glimpse a green man coming at them with intent, and they're off like a bride's nighty. Even after capture some of them will seize every attempt to suicide — they just can't live with the tremendous loss of face. Far; off to the side. He came in, took a look and squinched down into a chair in an off corner and didn’t open his mouth. Designating a time when one is not strictly attentive to business or affairs, or is absent from a post, and, hence, a time when affairs are not urgent. (in phrases such as 'off day') Designating a time when one is not performing to the best of one's abilities. (of a dish on a menu) Presently unavailable. — I'll have the chicken please. — Sorry, chicken's off today. Right-hand (in relation to the side of a horse または a vehicle). The man and the horse came closer and were Sonny Jacobs of the Diamond Six and a smallish neat sorrel definitely favouring its off forefoot. I took it off the table. (colloquial) Out of the possession of. He didn't buy it off him. He stole it off him. Away from or not on. He's off the computer, but he's still on the phone. We've been off the grid for three days now. He took 20% off the list price. We're just off the main road. The island is 23 miles off the cape. No longer wanting or taking. He's been off his feed since Tuesday. He's off his meds again. Placed after a number (of products または parts, as if a unit), in commerce or engineering. I'd like to re-order those printer cartridges, let's say 5-off. He got in the way so I had him offed. Most sorely missed is the relationship between Eggsy and Colin Firth’s delightfully avuncular mentor figure Harry Hart, who was offed, seemingly definitively with a bullet to the brain towards its end. (transitive, Singapore, Philippines) To switch off. Can you off the light? (usually in phrases such as 'from the off', 'at the off', etc.) Beginning; starting point. He has been very obviously an untrustworthy narrator right from the off. With the period , , ,. From Middle English of-, from 古期英語 of-, æf- (“off, away, down, un-”), from Proto-Germanic *af- (“off, away”), from Proto-Indo-European *apo- (“off, away”). Cognate with Dutch af- (“off, away, down”), German ab- (“off, from, down”), Latin ab- (“from, of”), Ancient Greek απο- (apo-, “away from, without”).